There is absolutely nothing as fun as designing spaces: it is all about using your style to give a space comfort and beauty at the same time. With a little bit of fantasy and a help maybe from the internet, your outer space will look perfect. 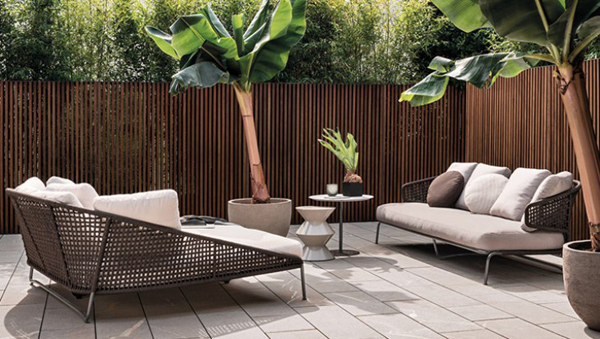 In fact, if you’re short of ideas, recognizable brands like Minotti can provide you beautiful and practical ideas to make your outdoor look the very best. This Italian brand is known for its elegant and sophisticated characteristics; on the website you can have a look at some designs and get many ideas. If you’re looking for the special furniture, on “Mohd” you can find them of every kind: from technological and modern ideas to detailed elegance, you can browse through the website and choose what you like the most. Get the best and order your pieces of furniture online, and if you change your mind, you can cancel your order within 14 days after receipt. Plus, if you find the same item at lower price elsewhere, they will match that price. Back to how to decorate your space. Before even starting to plan your outdoor, you might want to stop and think about what you like and how you wish your style to affect the design. For example: what is your favourite colour? Do you read a lot? Do you love nature? Which is the season I most like? There is nothing elegant about complicated. Simple ideas are often the best ones to help you create a friendly environment. You do not need a large amount of money to create the perfect design, what you need is to choose the characteristics that you think are indispensable, your must-have, and build everything else around those. 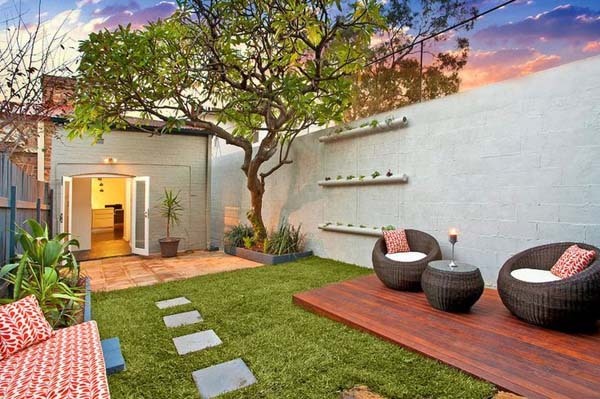 Check here 10 secrets to creating the perfect outdoor living space. Do not make the mistake of choosing only one colour or all of them. For example, you might love blue, however, to choose only blue would make your outdoor space look too dark. To avoid this, you could choose some other shades of it as well as putting in another colour, like –in the case of blue- white. By the way; if you like blue, on Mohd you might want to take a look at “Muuto E27” very simple lamps with the blue wire. You could also combine multiple colours of lamps to make a greater effect! You don’t need to throw away stuff. Think about using some furniture you already have, and if you feel bored with the old things, maybe paint them with a new colour. Choose what you wish to keep, and coordinate it with new pieces, maybe some design furniture. You’ll be surprised to see how much they can match. Don’t stick with the old, standardized, boring idea of an impersonate outdoor space. Have fun! For example, on Mohd you’ll find the Lego Brick containers that are stackable, practical and absolutely fun. Choose your own style. 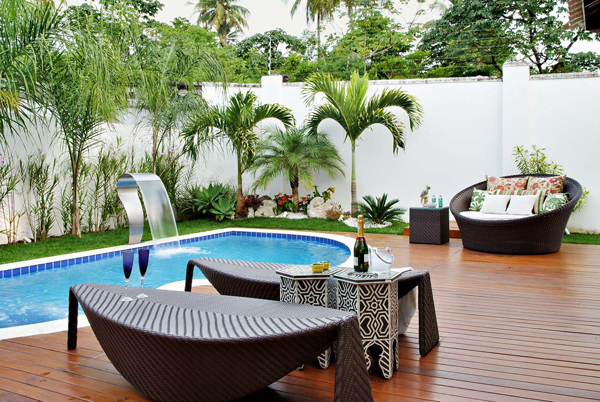 Find many designs online and choose your own, original outdoor space.